It is no secret that rock musicians have many times drawn significant influences stemming from fantasy, mythology, and history. Therefore, there is no wonder that many of the highly acclaimed and popular classic rock British bands of the late 1960s and early 1970s had been tremendously inspired by the works of J.R.R. Tolkien, in particular ‘The Hobbit’ and ‘The Lord of the Rings’ trilogy that followed it. In origin though, Tolkien’s legendarium was a humongous inspirational mixture, with the author collecting and assimilating hundreds of legends from the folklores and mythologies of many peoples and countries, including most notably those of Ancient Greece, Ancient Rome, the Ancient Germanic peoples (such as the Anglo-Saxons, Norsemen, Lombards, or Goths), the Celts or the Finns. The list below showcases 10 different classic rock songs that are actually rooted in Tolkien’s literary universe, tunes composed and performed by several British rock bands of the 1960s and 1970s. Enjoy! Off of Pink Floyd’s debut album, ‘The Piper At The Gates of Dawn’ (which in turn is a reference to another fantasy book, ‘The Wind in the Willows’ by Kenneth Grahame), ‘The Gnome’ is a song with a profound Tolkien-ish atmosphere, both instrumentally and lyrically. ‘The Wizard’ is the second track that features on Black Sabbath’s eponymous 1970 studio album. The lyrics were written by Geezer Butler, the band’s bass player, who, at the time of the album’s recording sessions, was reading the Lord of the Rings trilogy. Named after the namesake legendary fortified city of the Elves, ‘Rivendell’ is one of the songs which is included on Rush’s ‘Fly by Night’ album, released in 1975. The composition describes a tranquil, lush, and green Elven landscape full of magic and calm, wherein timekeeping is completely disregarded. Cantebury-based Caravan released the studio album ‘In the Land of Grey and Pink’ in 1971. 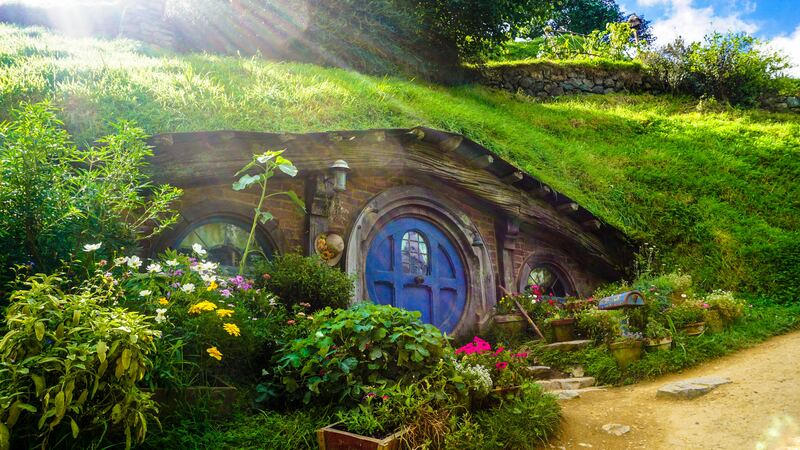 Its title song bears several allusions to a Middle Earth-based environment, a faraway land of peace, pleasure, and dreams. The frontal cover artwork of the LP is also quite suggestive insofar as being inspired by the Shire, the realm of the Hobbits. ‘The Battle of Evermore’ is one of the most exquisite and uplifting songs by Led Zeppelin, being part of the track listing on the band’s fourth studio album issued in 1971. The song references the One Ring, the Dragon Smaug (i.e. the ‘Dragon of Darkness’) as well as the universal fight between good and evil. The lyrical climax is represented by the clash of their armies and an eternal siege of a stronghold. Progressive rock Swedish artist and multi-instrumentalist Bo Hansson released the studio album ‘Music Inspired by Lord of the Rings’ in 1970 (originally entitled ‘Sagan om ringen’ in his native Sweden). The 4th track on the LP, ‘The Black Riders & Flight to the Ford’ is a direct reference to the Ringwraiths, the cursed servant ghostly kings of Sauron. Irish singer-songwriter Sally Oldfield (who had collaborated with Mike Oldfield and Steve Hackett) released her debut solo album ‘Water Bearer’ in 1978. On the first side of the album, as part of the larger suite ‘Songs of the Quendi’, there is a part called Nenya which mentions ‘three rings for the Elven kings’. The epic, long, and spacey progressive rock tune ‘Nimrodel/The Procession/The White Rider’ represents Camel’s tribute to J.R.R. Tolkien’s ‘Lord of the Rings’ trilogy, immersing the listener into a musical universe full of synths and fantastic guitar solos. ‘The Wizard’ is probably one of the most mesmerizing rock songs of all time. Written as a homage to the mighty white wizard Gandalf, the song is the opening track of the band’s 1972 ‘Demons and Wizards’ studio album. Argent were an English progressive rock band formed in London in 1969. On their second studio album called ‘Ring of Hands’ the 4th track on side one is called Lothlorien, just after the legendary realm of the Elves.